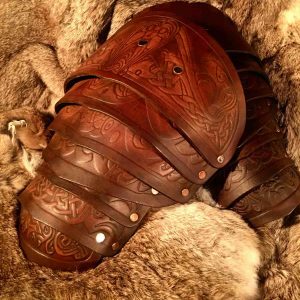 The Vendel Wolf SCA Leather Body with Shoulders are?one of the most unique designs to be offered by Black Raven Armoury , these?have been professionally dyed and built for you by ourselves. Created & designed by Alex Agricola, the whole set is made of premium grade top grain Veg Tanned leather (laminated to a minimum 6mm thickness). 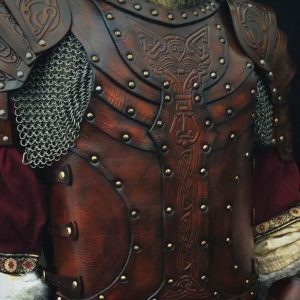 This armour is 100% suitable for a variety of uses, be it SCA event, theatre stage or big screen, this kit will enable you to produce a set of fully functional ?REAL? protective armour. 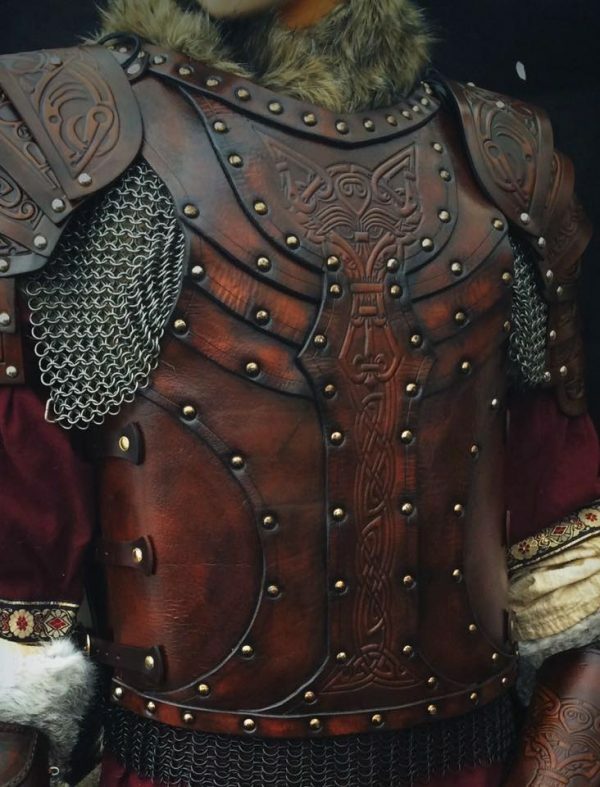 The Vendel Wolf Leather SCA Armour body is a stunning piece of work. The Design comes from Black Raven Armoury founder Alex Agricola and features a stunning Celtic Wolf motif embossed in a centre panel. The Wolf Leather Body is enhanced by a matching set of shoulders (pauldrons) and is formed of premium grade top grain Veg Tanned leather (laminated to a minimum 6mm thickness). 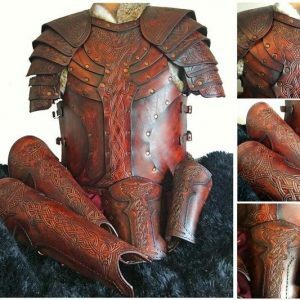 The Wolf Body with Shoulders is also available as a full set with matching Greaves and Vambraces and as a standalone body which can be worn with any of our arm and leg guards to build up a more unique look. This set comprises of the Body and a pair of Shoulders (Pauldron). This armour is designed to? 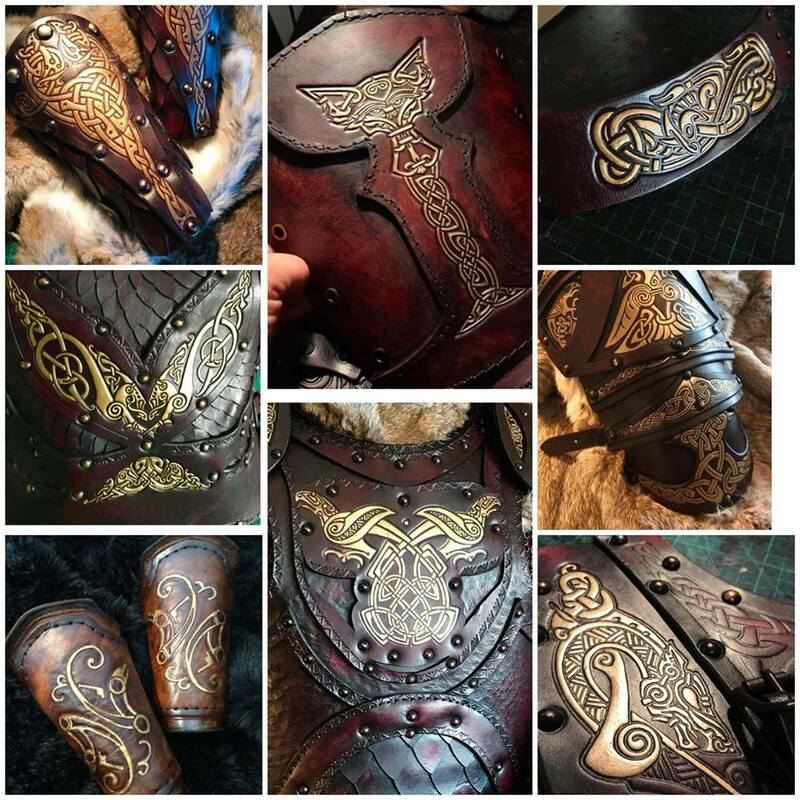 be worn and used and is suitable for SCA, re-enactment or theatrical use, detailed enough to be used on screen and will stand up to close scrutiny and the sternest critique.